Financial independence is a goal well worth fighting for. It means you can maintain your standard of living without running out of money, no matter what happens. You might be surprised to learn this is less about how much you make and more about how much you save. Follow our five steps and you'll be on your way to achieving financial independence. 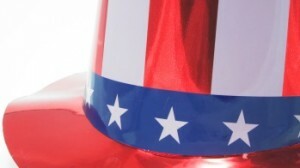 There's no doubt that for many Americans, the return to a growing economy hasn't resulted in sudden prosperity. Income inequality has meant huge gains for the wealthy, while everyone else has been stuck in place. When adjusted for inflation, median wages haven't budged since the 1970s. The same can't be said for housing and medical costs, for example. This is the reality of today. You may be doing everything right or you may be financially pinched because you're living beyond your means. In any case, you can't rely on a financial fantasy to save you. You're not going to win the lottery or get a sympathy check from the federal government. No one can help you but yourself. Accept that responsibility and commit to changing your own financial future now. "It takes discipline to invest and save, and (it) all falls into the individual's hands when it comes to taking responsibility," says Dan Neiman, partner and portfolio manager at Neiman Funds, based in Williamsville, N.Y. Step 2. Spend less than you make. If your lifestyle outpaces your income, you will always be walking a financial tightrope. It's a pretty simple concept, but most Americans struggle with it. "Watching client behaviors for over 30 years, I'd say the power of living below your means is the single most important factor in creating a secure financial future," says Lynn Ballou of Ballou Plum Wealth Advisors in Lafayette, Calif. It takes more than cutting out lattes at Starbucks. You'll have to take a hard look at your two biggest expenses — where you live and what you drive. Housing costs — that's everything from the monthly mortgage or rent payment to property taxes, insurance premiums and condo fees — should be 28% or less of your gross (pretax) income. You should also spend no more than 10% of your gross income on a vehicle, including the monthly payment, insurance and maintenance costs. So if you make $50,000 per year, aim to spend no more than $1,167 per month on housing and $416 per month on transportation. If these numbers appear shocking, know that you'll never get ahead if you can't get these two expenses under control. You may want to start with our calculator, which will help you create a monthly budget to see where your money is going. The best way to ensure you're saving is to pay yourself first and make it automatic. You can do this through a 401(k) at work or with an automatic draft at your bank. It will move a certain amount every month from your checking to savings account and force you to live on less. Step 3. Manage your debt. Debt, especially high-interest credit card debt, is the single biggest wealth killer and a barrier to achieving financial independence. The average credit card debt per borrower stood at $5,164 at the beginning of 2014, according to an analysis by TransUnion, one of the three big credit bureaus. It would take more than 10 years to pay off this balance if you make the minimum monthly payment. With an average interest rate of 15%, you also would pay more than $2,200 in interest. You can save money and erase your debt years sooner if you pay more than the minimum required. Use this credit card repayment calculator to develop a plan to wipe out your debt as quickly, and cheaply, as possible. It's hard to go through life without some debt, but the only things you should ever consider financing are a car, a good education and a home. 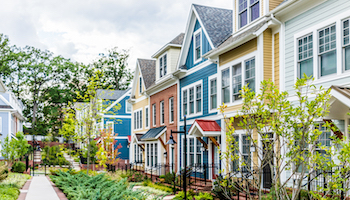 "A low-cost mortgage could be 'good' debt," says Nick Ventura, president and CEO of Ventura Wealth Management in Ewing, N.J. "It allows for the buildup of equity and, in most cases, tax savings." It says to finance a car for no more than four years, make a 20% down payment and not let the total costs, including insurance, exceed 10% of your income. Borrowing money to pay for college assumes you’re going to a reasonably priced school and studying something that will earn you a decent living someday. If you need to borrow money for anything else, chances are you can't afford it. If you can’t recognize and accept when you can’t afford something, you'll always be in debt. 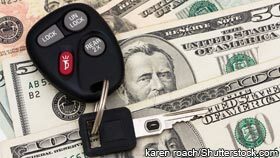 How much car can you afford?Americans spend more than $30,000 on average when they purchase a new car or light truck. But our 2014 auto affordability study found that the median-income family in 24 of the nation's 25 largest cities can't afford to spend this much on a vehicle. 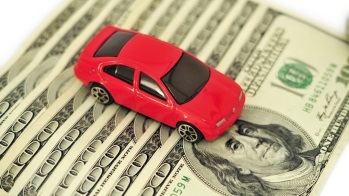 See what kind of vehicle you should buy based on your income. Step 4. Save and invest. Most financial experts say you should save at least 10% of your income — preferably even more. If you're having a problem saving, see Step 2. When you save money, you are buying and obtaining security. It's no surprise that, in general, the more money people have in the bank, the less they worry about their finances. Your first place to save should be an emergency savings account. You should have about six months of living expenses socked away there. Next, take advantage of any 401(k) matching contributions your employer may offer. To build financial security, it's critical you start contributing to your retirement early in your adulthood. "The sooner you get started, the greater the compounding effect will be later in life, and you'll be more likely to weather financial cycles," Ventura says. Your emergency fund should be in an easily accessible savings account, but your retirement funds should be in stocks and bonds. 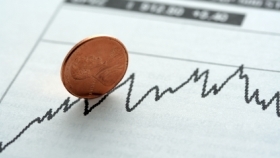 CDs and money market accounts aren't going to provide the growth you need. It's also important to invest for the long term. "Growth is essential," says Bruce Helmer, founder of Wealth Enhancement Group in Chaska, Minn. "You need to take (some risk) and get a return that at least exceeds the rate of inflation. There is volatility in the short term, but long term, stocks produce (greater) returns." If you don't know much about investing, start with a low-cost target date fund. All you have to do is pick the year closest to your retirement date, and you'll get a portfolio with the appropriate mix of stocks and bonds that will adjust as you grow older. It's an easy way to start investing. See how quickly your nest egg can grow with this savings calculator. 5 things to know about target date fundsTarget date funds can make investing easy. Rather than picking stocks and bonds on your own to create a diversified portfolio, you select a single fund designed to have the right combination of assets based on when you plan to retire — your "target date." Here's how to buy with confidence. No one likes paying insurance premiums. You pay a company a bunch of money in case something bad happens. And when nothing happens, you don't get anything back. Sometimes it seems like it's all for nothing. But insurance isn't just to protect your vehicle, home or health; it's to protect your financial security and all the money you've saved. Owning a home, driving around, even walking down the street without insurance is like walking a tightrope: One single incident or accident can wipe you out. Carry enough homeowner's and auto insurance, and make sure you have health insurance. At least start with a catastrophic policy to cover you in worst-case scenarios. The new insurance marketplace instituted by the Affordable Care Act may not be perfect, but at least it offers some additional options. Medical bills cause more than 60% of all personal bankruptcies and pose the single biggest threat to everything you're working to achieve. Protecting yourself against lawsuits, accidents and medical issues is part of declaring your financial independence.